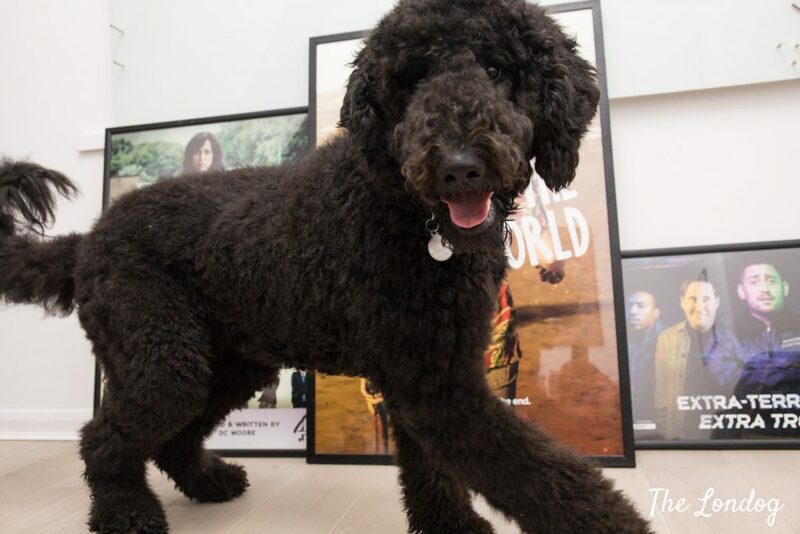 Pablo, the black Labradoodle, is the office dog in charge at Clerkenwell Films, a film and television production company based in Clerkenwell, London, which works with Netflix, and other big names. 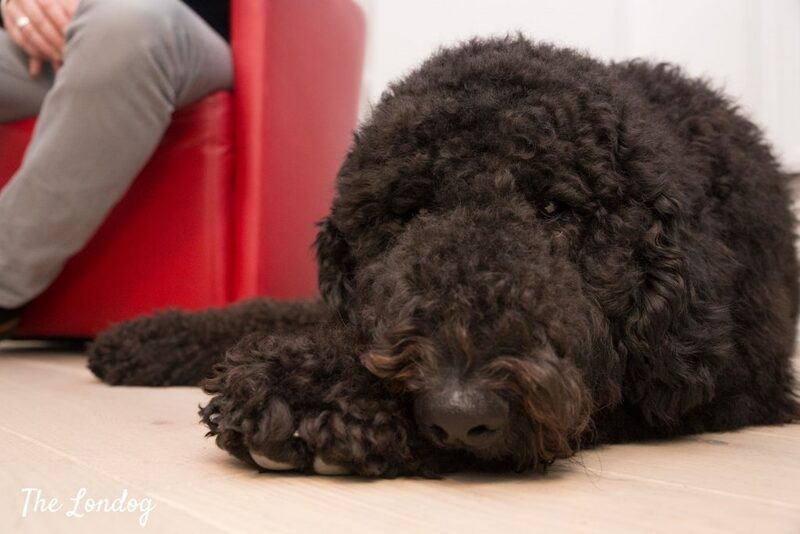 Under his curly hair and dark eyes, there is a gentle giant and the most loved in the workplace. 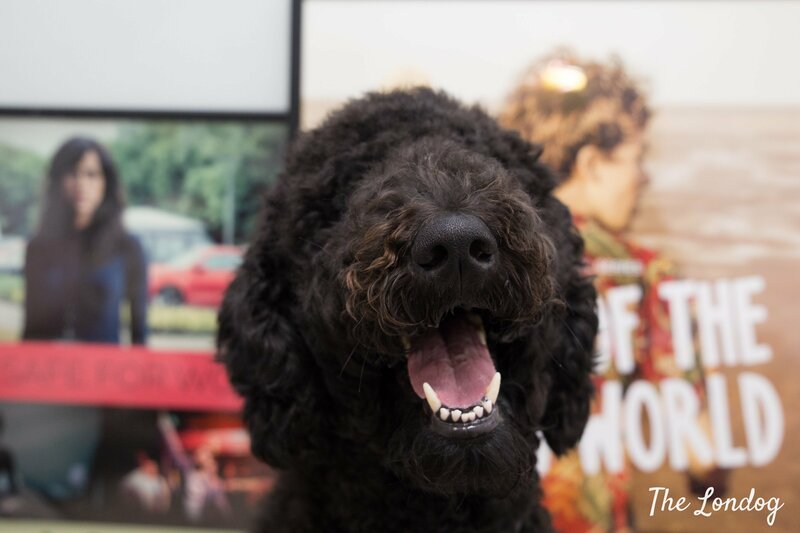 He features as Tuesday office dog in this 12th edition of the Office Dog Series. As I walk into Clerkenwell Films’ offices for our meeting, I find a sign about casting in progress on the door and an actor waiting on the chairs in front of it. There is an intial qui pro quo as I ask for directions to a team member, and, assuming I am in for the audition, he tells me that if I wait by the door my name will be called. The misunderstanding is soon clarified and I discover that Clerkenwell Films takes up two floors and I am clearly at the wrong one. Behind the right door, there is Pablo running towards me with the sweetest face. 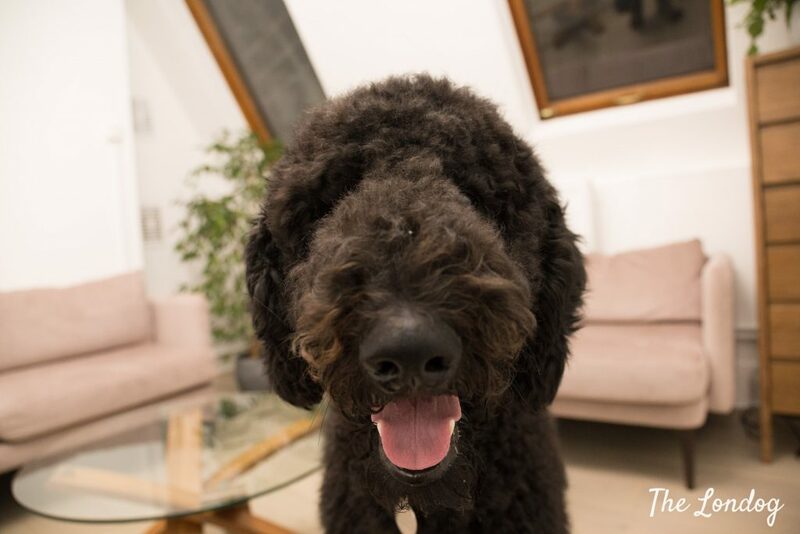 Pablo has been joining the crew at Clerkenwell Films since he was a few months old. 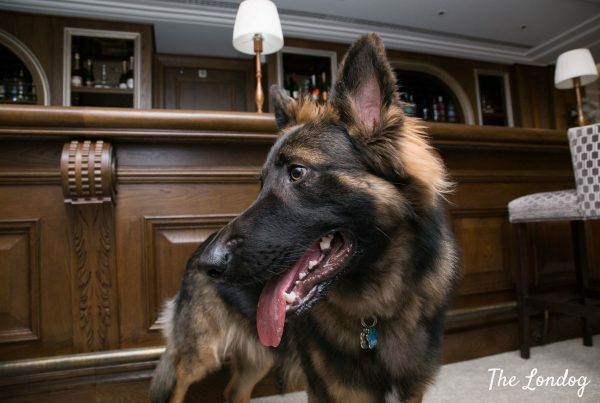 Twice a week, he walks in after an on foot commute following his morning stroll, so his travel is never stressing. 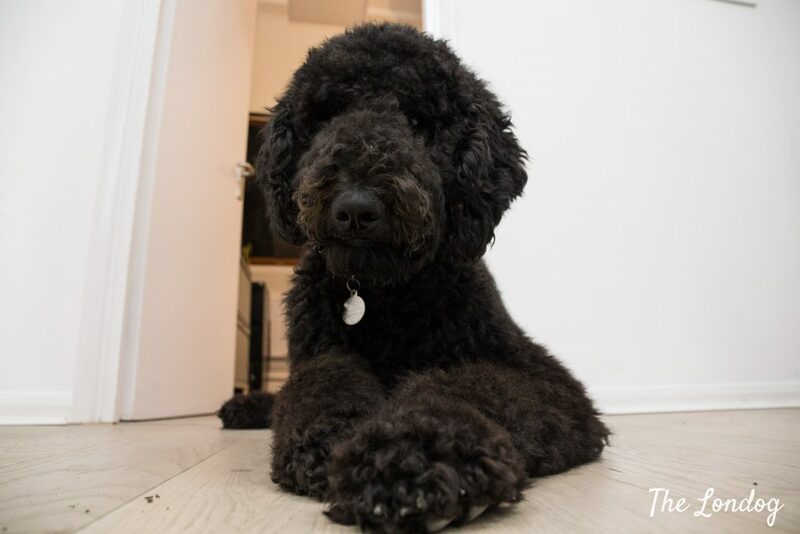 “Pablo is the most chilled out 16-month old Labradoodle you’re likely to meet. He’s really easy going and loves nothing more than sniffing around the park, playing with other dogs, and finding lost balls”, says Charlie, with whom Pablo often stays. 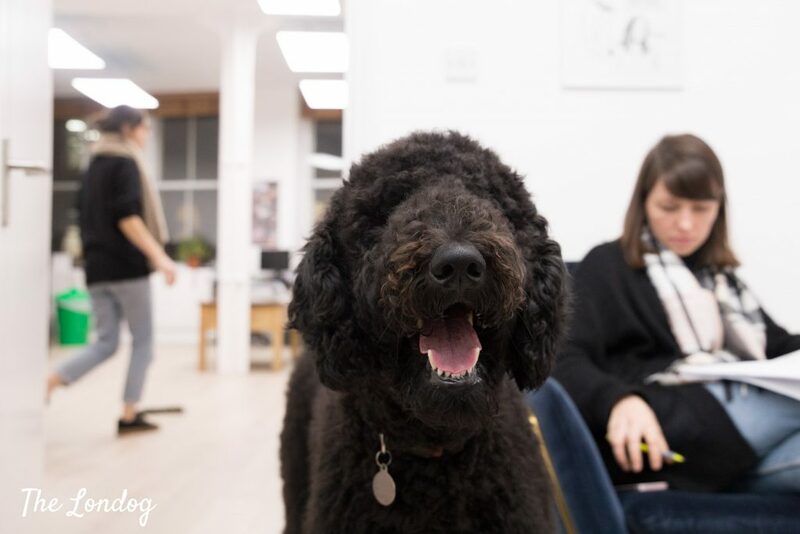 Clerkenwell Films is a small company and Pablo is the only office dog, “So it suits us well”, adds Charlie. Loving: Smaller dogs, sniffing, cuddles, balls of all shapes and sizes, playing tug of war, chilling out, running on the Heath. 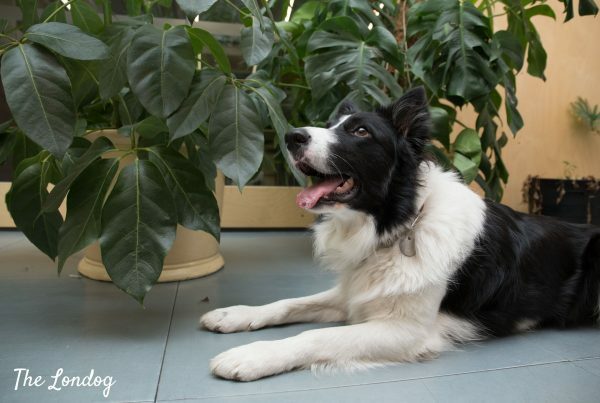 Funniest habit: Finding balls that aren’t visible to the naked eye – he will dig for them! During the photoshoot with Pablo, two teammates walk into the room where Pablo is working mastering his ‘stay’ command, and they sit on the couch while discussing over scripts and plots. To avoid a super spoiler of whatever series they may be talking about, I quietly lure Pablo out of the room and move to the open space area. Lunchtime and afternoon walks are a great diversion for Pablo too. “We’re lucky because St James’s Churchyard is just around the corner and there is a brilliant community of dog walkers there. Pablo has made friends with lots of dogs and I’ve had some great conversations with their owners. There is a dog-friendly café in the Churchyard and they always leave water out for the thirsty pooches. Pablo loves nothing more than spending half an hour sniffing through the terrain,” says Charlie. Talking about lunch break trips to the park, Pablo developed a famous habit. “He went through a stage of bringing sticks back to the office after a lunchtime walk – they became bigger and bigger until we were nearly bringing full on branches back. He’d then sit and shred them to pieces,” laughs Charlie. 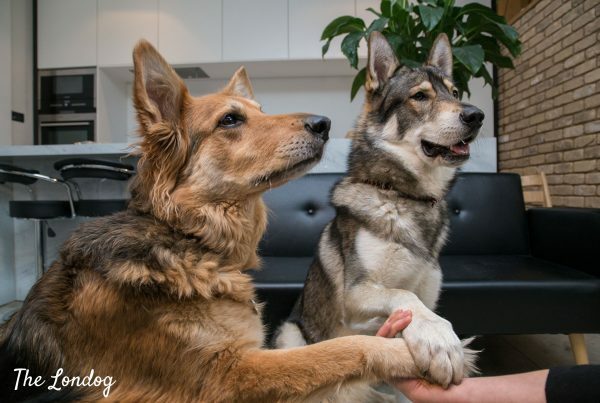 Tomorrow on the BLOG meet Tessa the German Shepherd Collie mix and Winter the Czechoslovakian Wolfdog Malamute cross, office dogs of an first formations and accounting firm.